The term “assessment” can be defined broadly or narrowly. The assessed value is the result of an involved assessment process. The process includes discovery, appraisal, mapping, notice, and all other considerations resulting in an entry on the property book. SB 401 defines “assessment date” as July 1 of the year preceding the tax year. 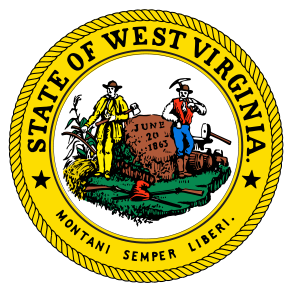 July 1 is the annual West Virginia assessment day for taxes payable for the ensuing calendar year. That means July 1 is a critical date for valuation, ownership and tax classification of non-utility property. All property must be valued as of that day, every year. The ownership on that day sets the tax obligation; and the use of the property on that day sets the tax class. An assessor can help ensure uniformity by strictly adhering to the assessment date. WV Code §11-5-3 defines “Tax Year” as the calendar year following the July first assessment day. WV Code §11-3-1 should be thoroughly understood, since it forms part of the foundation for our assessment work. It further provides authority to the Tax Commissioner to review and oversee our work. Active farm lands are valued based upon rents of property used for farming purposes when property owner makes application and qualifies annually. (WV Code§11-1A-10) See (CSR 110-1A-1 et seq.) Corporations or companies can apply for agricultural –use. The Constitution requires all farms, regardless of ownership, to receive Class II. However, these corps cannot receive the special farm use valuation. WV CODE §11-1A-10 and the State Legislative Regulations (Title 110 Series 1A-1991) make provision for a reduction in property tax appraisals for all qualified farmland. The reduction is based on the FARM RENTAL value of the land instead of its fair market value. If your farm is less than 5 acres in size, you must produce at least $500 in “documented” cash sales of agricultural products. If your farm is 5 acres or more, you must have at least $1,000 in sales, use, or consumption of agricultural products to qualify. The owner does not have to be the person actually doing the farming of the property. However, the land owner is responsible for making application for the reduced valuation. You could qualify for an exemption on minerals if farm income is greater than mineral income. Land owners wishing to apply for farm use valuation need to either print form on line or come to the Assessor’s Office between July 1 and September 1, unless they receive a form in the mail; in which case they MUST completely fill out and return the form to the Assessor’s Office on or before September 1. All individuals are required to file a property tax return WV CODE §11-5-1 between July 1 and October 1 each year, with the Assessor’s Office. The return requires the taxpayer to provide a listing of all taxable personal property (as well as real property) that is owned on July first assessment date. If you are currently in the property tax system you will receive a form to complete and return to the Assessor’s Office. If you do not receive a form you can fill one out on line by following instructions or pick a form up from the Assessor’s Office. The Assessor’s Office will develop an estimated assessment for those individuals who fail to file a return. In addition if a taxpayer fails to timely file a property tax return, he, she, or it is subject to the imposition of a forfeiture of not less than twenty-five dollars ($25) nor more than one-hundred dollars ($100) and shall have waived all rights under law for correction of the resulting assessment. See assessment WV code §11-3-1. As a business owner, your business personal property is subject to ad valorem (based on value) taxes. As a business owner you are required under West Virginia law to complete Form STC 12:32C – Commercial Business Property Return and return it to the Assessor’s Office on or before September 1st. The Assessor’s Office will develop an estimated assessment for those businesses who fail to file a return. In addition the business fails to timely file a commercial business property return , the business is subject to the imposition of a forfeiture of not less than twenty-five dollars ($25) nor more than one-hundred dollars ($100) and shall have waived all rights under law for the correction of resulting assessment. You can pick up a form from the Assessor’s Office or print form on line and return it on or before September 1. See assessment WV code §11-3-1. The Assessor’s Office is responsible for the sale of dog tags and kennel licenses; each dog over the age of seven months is required to have an up to date tag which costs $3 in rural county districts. The municipalities of Wheeling, Clearview and Town of Triadelphia charge $4.25 for spayed females and all male dogs. Unspayed females are $5. Kennel licenses are available for people in the business of raising or boarding dogs. The fee for a kennel license is $10 and includes up to 5 tags. For each additional dog the regular fee applies.